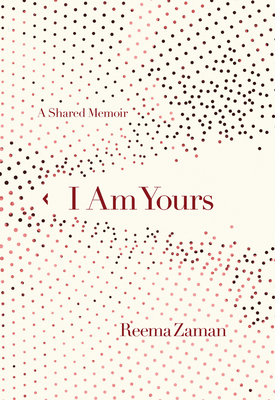 Reema Zaman discusses her new memoir, I Am Yours. "My heart just burst into a thousand songs after reading I Am Yours by Reema Zaman. From the first word to the last, this story is phenomenal triumph of one woman's body and voice rising up and through a culture that would quiet her. Moving through experience and language without flinching, Zaman reminds us that to have a body is to bring a soul to life. A stunning debut." -- Lidia Yuknavitch, New York Times bestselling author of The Book of Joan. I Am Yours is the story of Reema Zaman's unwavering fight to protect and free her voice from those who have sought to silence her. From Bangladesh, to Thailand, to New York, to Oregon, through gorgeous prose as beautiful as it is biting, poetic as it is political, and healing as it is haunting, Zaman explores the many difficulties, dangers, and ultimately, the necessity for all women, all people, to own and use their voices. With astonishing courage and intimacy, Zaman is a reader's author, offering up a memoir written to alleviate the loneliness that often arises from being human in this world. A voice of a new era, a revolution in itself, an iconic debut that promises to shake global literature. For too long, through the most intimate acts of erasure, women have been silenced. Now, women everywhere are breaking through the limits placed on us by family, society, and tradition. To find our voices. To make space for ourselves in this world.